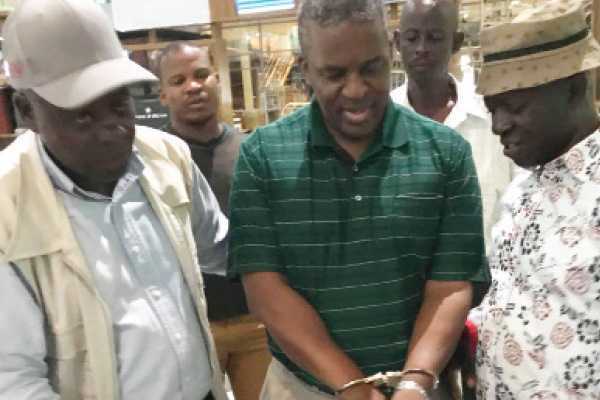 Isaac Kgosi was walking out of the Sir Seretse Khama International Airport in Botswana when he was approached by waiting security agents who had a warrant for his arrest. They preceded to hand him the warrant and handcuff him, all the while this was being recorded and later shared on social media for the masses to see. Kgosi is the former director-general of the Directorate of Intelligence and Security (DIS). He was Botwana’s most feared man since he took that position in 2009, but was fired by President Mokgweetsi Masisi in May 2018. He was accused of abusing state resources, unexplained disappearances of suspects, and unlawful arrests. Kgosi denied his involvement in any of these allegations, even as he was being arrested. During his arrest, he supposedly said, “I’m going to topple this government, I promise you. You will force me to do things that I never intended to do,” before being taken to a holding cell at the military barracks. Corruption is widespread and one of Africa’s major challenge and its effects are enormous. Corruption undermines development, discourages foreign investments, as well as threatens security and peace. Botswana, however, is among the few ranked as the least corrupt country in Africa by Transparency International. Botwana’s progress in the fight against corruption is credited in part to a strong political will manifested in the allocation of meaningful resources to implement its laws including the Corruption and Economic Crime Act of 1994. As a result of these efforts, the Business Anti-Corruption Portal believes that in Botswana is a safe country to invest in.